This is a sponsored post. I have been compensated with product, payment, or both for this post. However, all opinions are my own. This post may contain paid links. I was so excited when I got the opportunity to work with Martha Stewart Decoupage to create something awesome for Halloween. 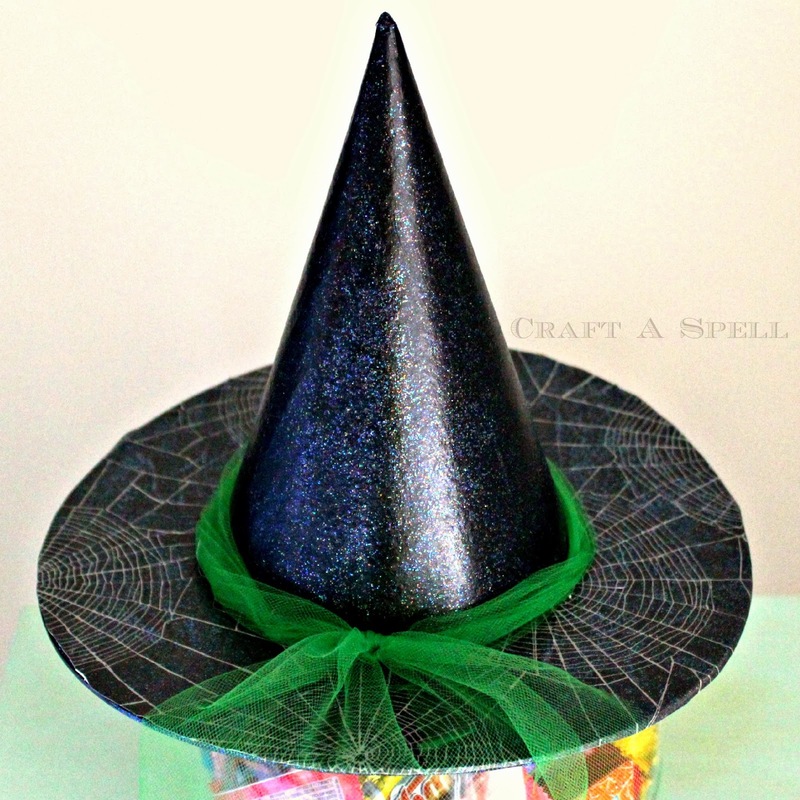 I decided to make a witch's hat for my candy jar. First take your witch's hat and paint it all black. 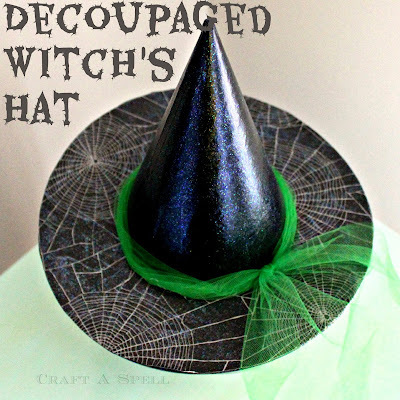 Then put a piece of decoupage paper under it and trace around the rim of the hat. To get the inside of the hole, I put some paint on the bottom of the witch's hat along the inside ring. Then I pressed it onto the paper to make a circle. I cut out both circles so the paper looked like this. Coat the rim of the hat in the decoupage, put the paper on top, and coat generously with the decoupage again. I covered my entire witch's hat in the glitter decoupage. Then I tied a strip of green tulle around it and secured it in place with hot glue. 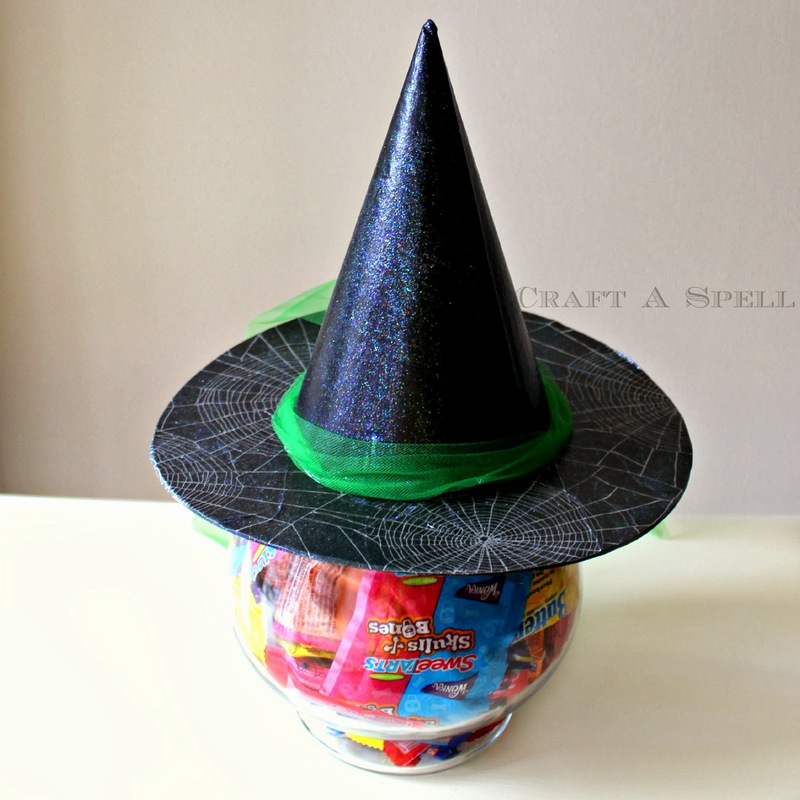 Then place the hat on top of a candy jar stuffed with sweets (I found one at Michaels). It's the perfect, simple addition to your Halloween decor. I've had mine sitting in my office. Martha Stewart Crafts ® Decoupage Formulas and Finishes are available at Michaels. All of the decoupage formulas are dishwasher safe (so cool), machine washable (awesome), non-yellowing (love that), dry hard with no tack (I can attest to this! ), and can be used indoors or out (phenomenal. I can also attest to this). Martha Stewart Crafts ® Decoupage Formulas and Finishes can be used on any surface such as glass, fabric, paper, metal and wood to create a lustrous finish. And, because I can't make just one thing, be sure to come back soon to see another Halloween project I made! With all the rain we've been having, I can attest that the Martha Stewart Crafts ® Decoupage Formulas and Finishes can stand up to the outdoors! Get ideas from fellow crafters on Plaid’s Facebook Page. Follow Plaid for Inspiration on Pinterest. 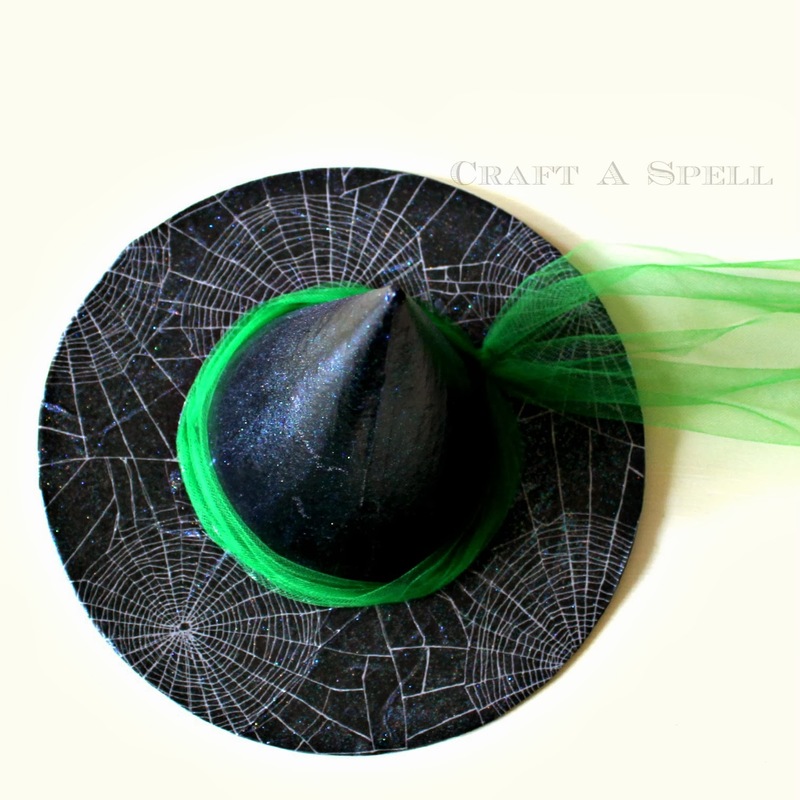 Your hat is adorable, and I love that you made it for a candy jar :) Perfect for Halloween all around! This is a great job and I love it! The hat is too cut on your candy jar! I'm droping by your office to see the jar and test the candy. Love the hat. Witches are my favorite Halloween character and you really captured the magic of the witch. Great job. Very cute! I love the spider web decoupage paper. Thank you! It was my favorite. I really did hit the jackpot with them! I LOVE this!! It turned out so cute! 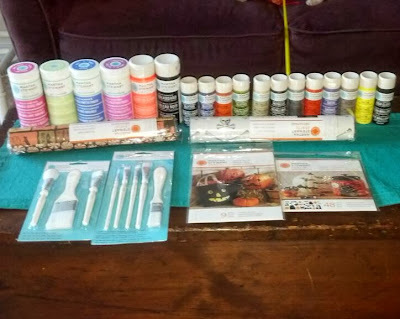 I'm so envious of your box of supplies you got! It would be so fun to receive that in the mail! Thanks for sharing this cute project!! I saw this on pinterest before I saw this on your blog--and pinned it! It turned out so well--and holy score on all those craft supplies!!! I love the spider web paper! I need to go check out some of her new products! Great job!